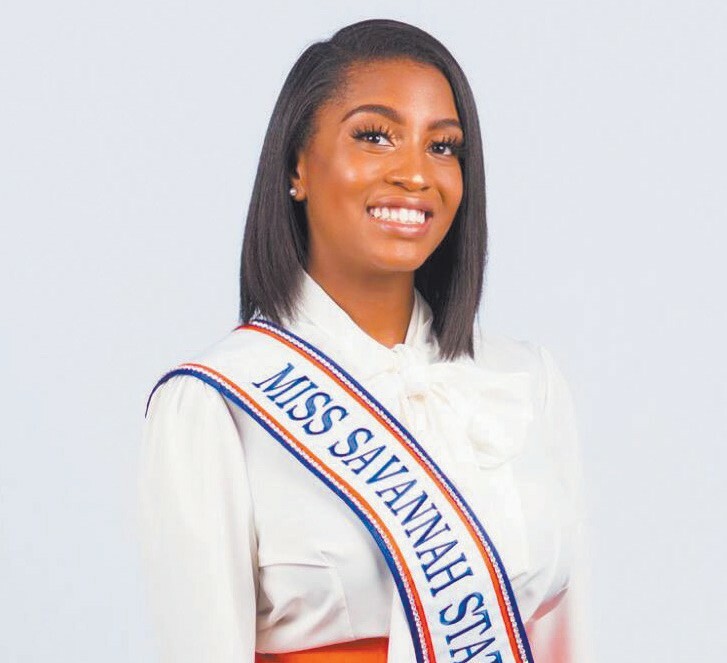 The coronation of Miss Savannah State University (SSU) will be part of SSU’s annual homecoming festivities. The ceremony will be held Thursday, October 25, 8 p.m., Tiger Arena and is free and open to the public. Miss Savannah State University is Aliyah C. Davis, a senior mass communications major from Covington, Georgia. While at SSU, she has served on the student government, volunteered in the community and hosted breast cancer and mental health awareness events on campus. She is joined by her court: Miss Senior Tierra Kirk; Miss Junior Zuri Randall; Miss Sophomore Destinee Clark; and Miss Freshman Kayla Bailey. Mister SSU is Cedric Trussell of Tampa, Fla., a senior electronics engineering technology major. He is joined by his court: Mister Senior Lorenzo Melton; Mister Junior Jalen Holmes; Mister Sophomore Ahmad O’Neal; and Mister Freshman Coleman White. The National Alumni Queen is Lillie Hobbs C’71 of Columbus, Georgia. She earned her bachelor’s degree in education from SSU and was an elementary educator in the Laurens Country school system for 40 years. The alumni attendants are Carolyn McCoy Huntley ’72 of Wrens, Ga., and Phyllis Hampton Washington ’90 of Atlanta, Ga. The National Alumni Association will crown the alumni queen in a ceremony at 5 p.m., Asa H. Gordon Library, second floor. All events, including coronation, the parade and entertainment info, are listed at www.savannahstate.edu/homecoming.